Pomelo - I don't like them that much, a bit too dry for my taste. Or maybe I have not picked a good one yet. 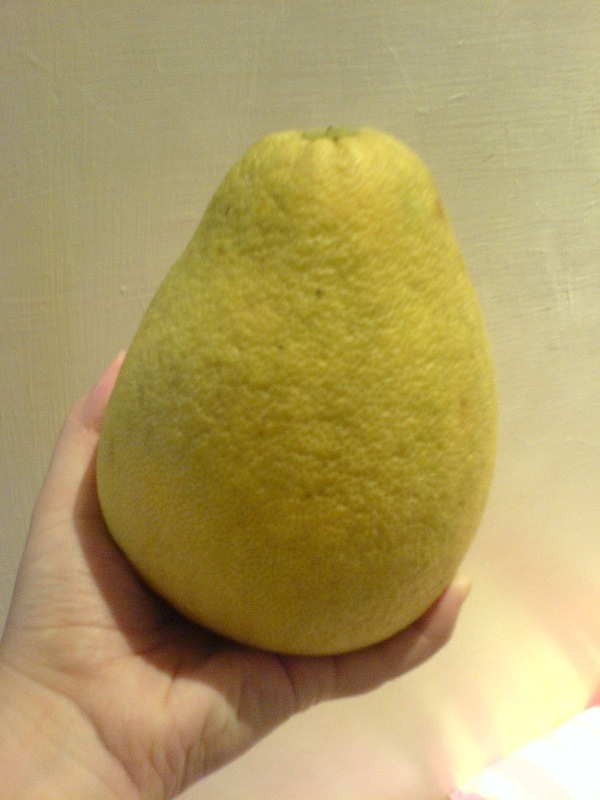 Anyhow, pomelo is a part of the custom here and I respect the people and their customs. It's an official holiday here in Taiwan, all weekend long, it's Mid- Autumn Festival. Mooncakes and Pomelo are everywhere! "Mooncake Festival" is one of the most celebrated harvest festivals in the Chinese calendar, sharing its importance with Spring Festival. The Taiwanese Mid-Autumn Festival is also called the Mooncake Festival and has become an important time for families to spend together. Many people meet in the parks to enjoy the moon, considered to be at its brightest and fullest at this time of year and the making and eating of mooncakes is one of the hallmark traditions of the festival. Mooncakes are large round pastries stuffed with a variety of fillings, especially sweet red bean paste, and they symbolize unity and togetherness. Outdoor barbecues are also a key component of this festival and have become a popular affair for friends and family to gather and enjoy each other's company.